Pop. 5,278,044Santiago was founded in 1541 by a Spanish conquistador and is the capital and largest city of Chile. Indigenous resistance against the Spanish conquistadors ultimately failed to hold the territory, and the native population moved south. The city grew up on either side of the Mapocho River, and the two parts of the city were linked in 1767 with the construction of the Calicanto Bridge. The early city layout consisted of 126 blocks of straight roads. In the late 1800s, public planning was aided by the formation of a school system and universities. The 1900s saw more redevelopment, such as the remodeling of Cerra Santa Lucia and the creation of Camina de Cintura, a road that was to circumnavigate the entire city. At this time Santiago begun to face more centralization of wealthy and poorer areas, stunted inner city growth and more urbanization of rural areas. In 1962, it hosted the soccer World Cup which led to the improvement of many public works. 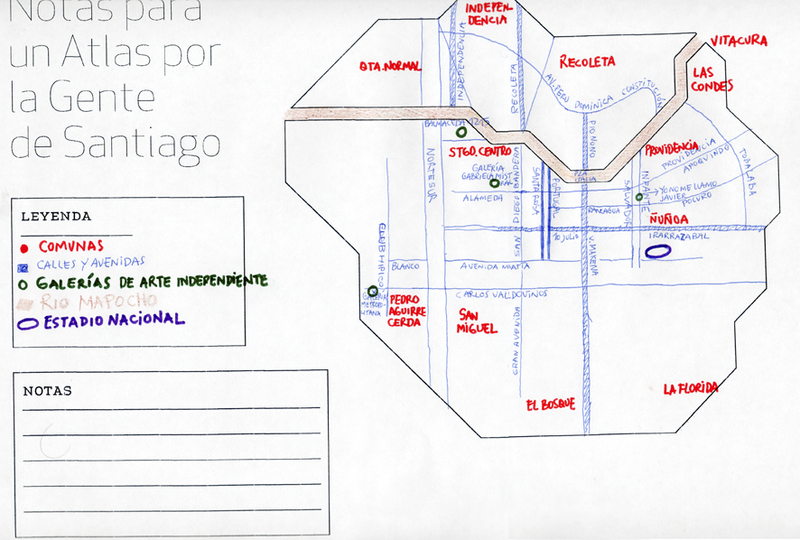 Modern-day Santiago encompasses a large metropolitan area with high rise architecture, suburbs, and shopping centers. Notes: Former Chicago resident Nicole Rademacher who is living in Santiago reached out to her collegues at the artist-run center BLOC and the NGO VE-global to host NPA workshops.